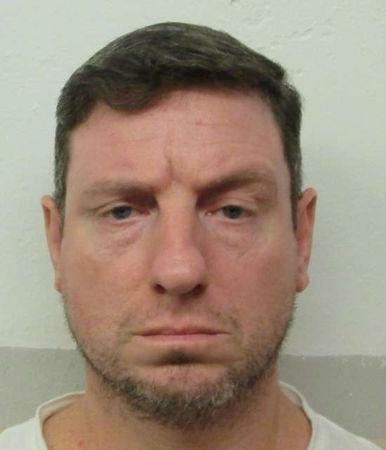 (Reuters) - The U.S. Supreme Court ruled early Friday that Alabama can proceed with the execution of a death row inmate whose lawyers argued that lethal injections had been botched in the past, causing a painful death and that execution by nitrogen hypoxia was a better alternative. But the order came too late, as the death warrant expired at midnight Thursday and Alabama prison officials called off the execution for that night. A three-sentence order, released by the court shortly before 3 a.m. ET, vacated lower court rulings that delayed the execution of Christopher Price, 46, for 60 days. Four of the nine-member Supreme Court dissented, breaking along conservative and liberal lines. The four judges considered liberals dissented, arguing for the stay of execution. It was unclear early Friday how quickly Alabama can proceed, and an Alabama Department of Corrections representative could not immediately be reached by Reuters. On Thursday, a U.S. appeals court temporarily halted the execution earlier on Thursday of Price, convicted of killing a minister and wounding his wife with a sword and dagger while robbing their home three days before Christmas in 1991. A three-judge panel of the 11th U.S. Circuit Court of Appeals upheld a delay of 60 days that a district judge in Mobile, Alabama, had granted in the case of Price. On Thursday night, the Alabama Attorney General's Office filed an emergency motion with the U.S. Supreme Court, asking it to overturn the stay of execution. But without word from the Supreme Court before the warrant expired, prison officials called off the execution shortly after 11:30 p.m. local time, a prison spokeswoman said. Price was convicted and sentenced to death in 1993 in the killing of William Lynn, a minister, in his home in Bazemore, Alabama, on Dec. 22, 1991. Lynn died of his injuries, while his wife survived wounds to her head, hands and chest. Price was captured seven days later and admitted that he took part in the robbery, but said he did not hurt the couple, according to court documents. Price's attorneys have argued the three-drug cocktail to be used in the execution is inhumane and he should be executed by nitrogen hypoxia, a "virtually painless" method, a court brief showed. On Thursday, Chief U.S. District Judge Kristi DuBose granted Price's attorneys the 60-day stay and gave the state until May 10 to respond to their arguments that the three-drug protocol risked causing Price significant pain and that nitrogen hypnoxia would reduce that risk. Earlier this month, the U.S. Supreme Court ruled 5-4 that the Constitution did not guarantee a prisoner sentenced to capital punishment "a painless death," paving the way for the execution of convicted murderer Russell Bucklew, who sought to die by lethal gas rather than lethal injection because of a rare medical condition.